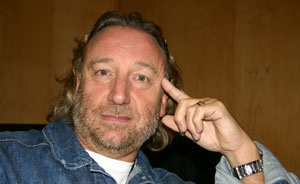 Peter Hook has ruled out the possibility of New Order reuniting. Speaking to The Quietus, he revealed that it was unlikely he and former bandmate Bernard Sumner would be able to repair their fractured relationship after New Order split up two years ago. "There is no current situation [with New Order]", he said. "We split up two years ago. For a while Bernard seemed to be a bit confused about that but now, from what I gather, he's accepted it. "In my mind, Bernard spilt us up in '92 when he went off with Johnny Marr, and I split us up this time. All we have to wait for is when we get back together is hopefully for Stephen to split us up and we’ll all be even." He added: "I think there would have to be a terrible lot of blood letting. It’s been very... it's been the messiest divorce I’ve ever had, let’s put it that way." Hook also commented on the fact that his new band, Freebass, are set to go head to head with Bad Lieutenant, the group started by the remainding members of New Order. "It’s a very strange position to be in, especially with the fact that we’ve both got records coming out together at the same time", he said. "It’s very weird. But it’s exciting. It’s a bit like a fat version of Blur and Oasis." Check The Quietus next week for the full interview: Freebase, Joy Division, Manchester, and more New Order.